Do you hate mowing your lawn? If so, please call our company and hire our professional lawn mowing service to do this annoying task for you. Regardless if your lawn is big or small, we will take good care of it. Our company operates here in Hanwell, and we are always ready and more than happy to help. Our gardeners love their job and will even go the extra mile to make you happy with their work. We are offering you our convenient service for a very attractive price, call us now. 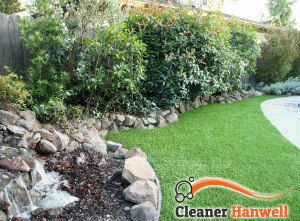 With our service, you will get your lawn moaned and taken care of by the best experts in town. We have gardeners dedicated to their work, and they are very hard-working. 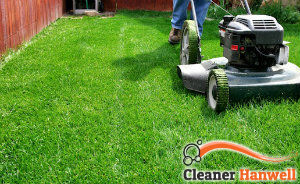 We promise you, you will not be sorry if you choose our company for your lawn mowing service provider. We are offering you the best and very attentive gardeners to do this job for you. You can spend some time with your family, while we help you check this chore off your list. Trust us with your lawn and we will take good care of it. We have different mowing machines because we know that each lawn has different needs, we have small lawn mowers for the small ones, and big for the big ones. We keep our machines sharp, so that we mow quickly and efficiently. Our employees will of course clean after themselves. They will not just mow the lawn and leave, they will get rid of the grass. They will be very careful around areas that are hard to mown – walls, fences, pathways, etc. They will cut the grass there by hand. Trust us with your lawn and call us now. We are the best in Hanwell, W7.